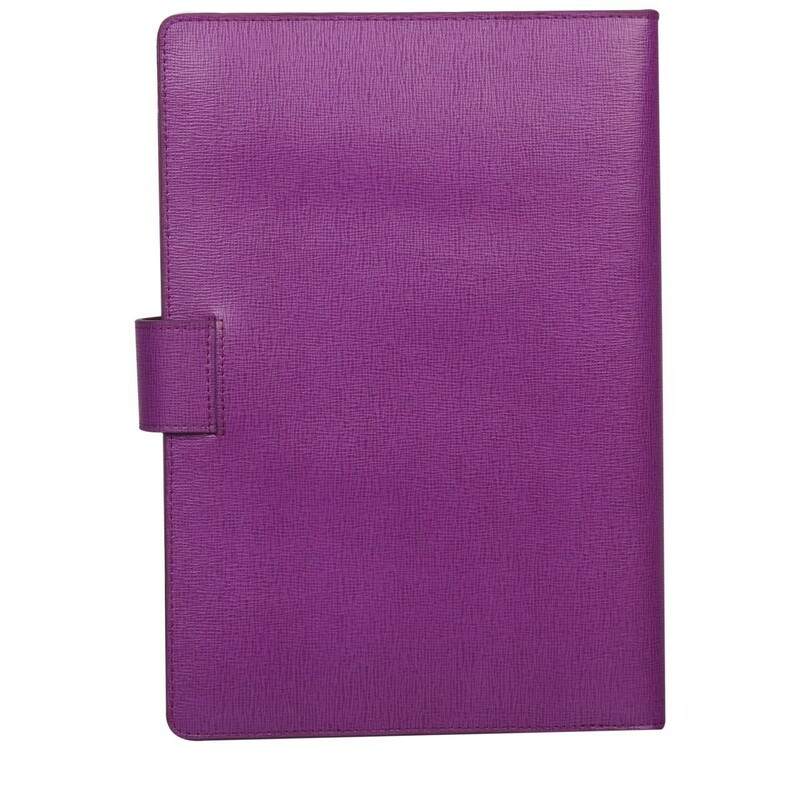 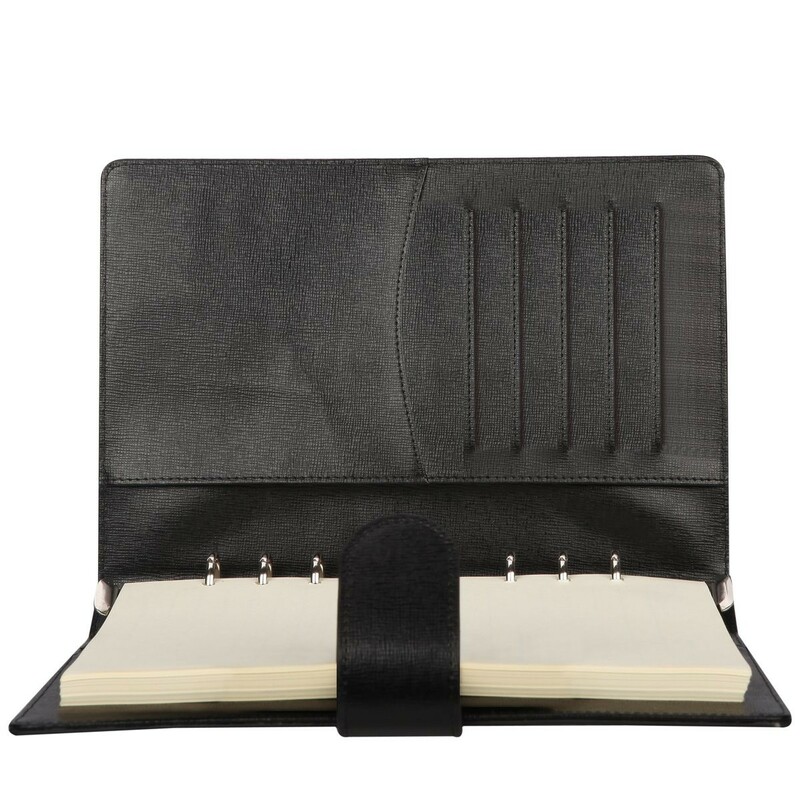 Take note of this stylish A5 journal. 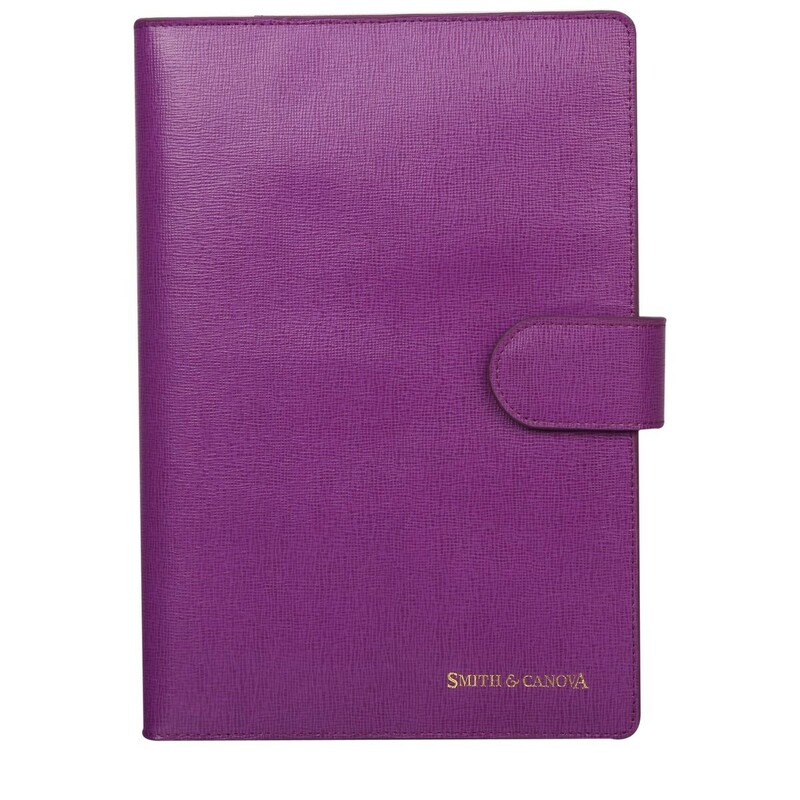 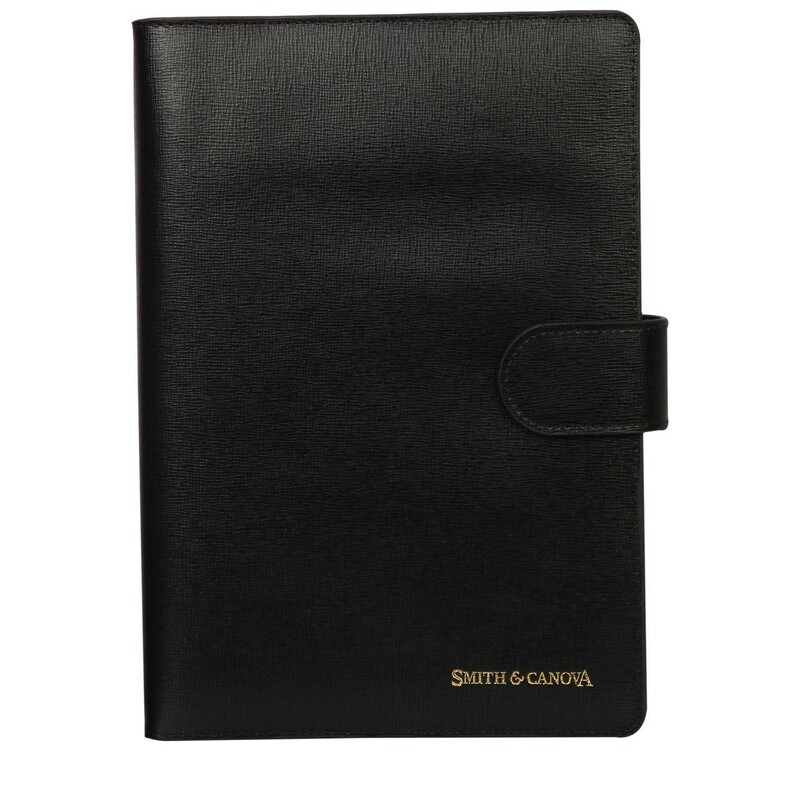 A snap fastened tab keeps everything secure and the Smith & Canova gold debossed logo on the front finishes off the look. 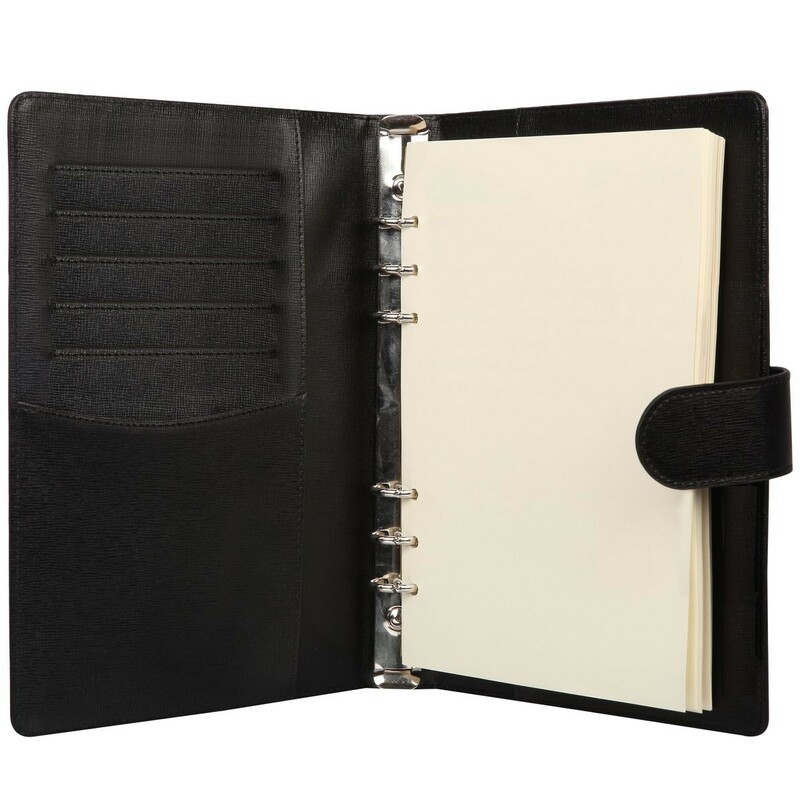 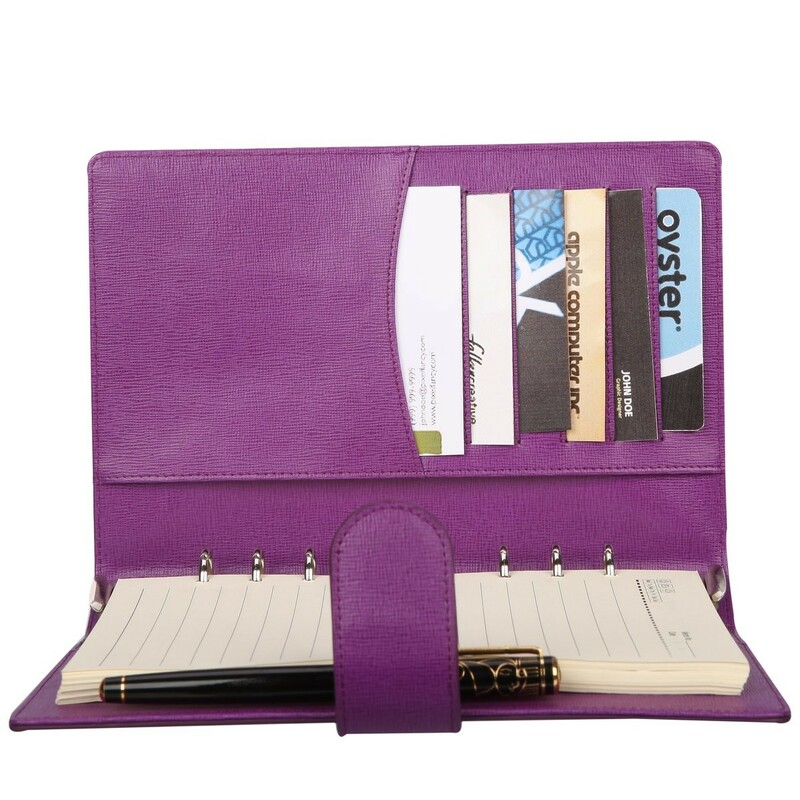 Inside has multiple card slots and 3 slip pockets. 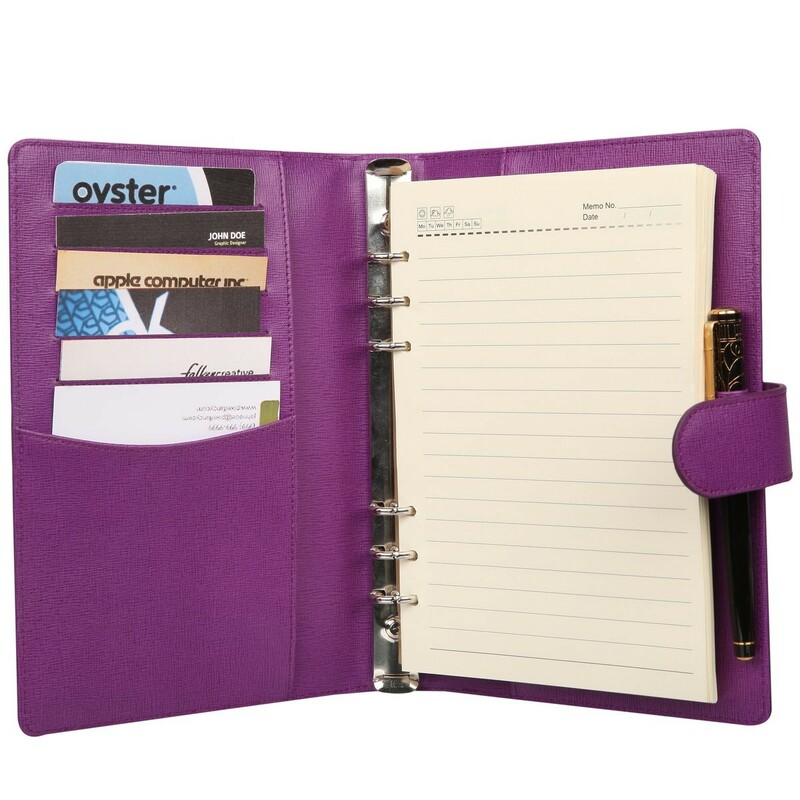 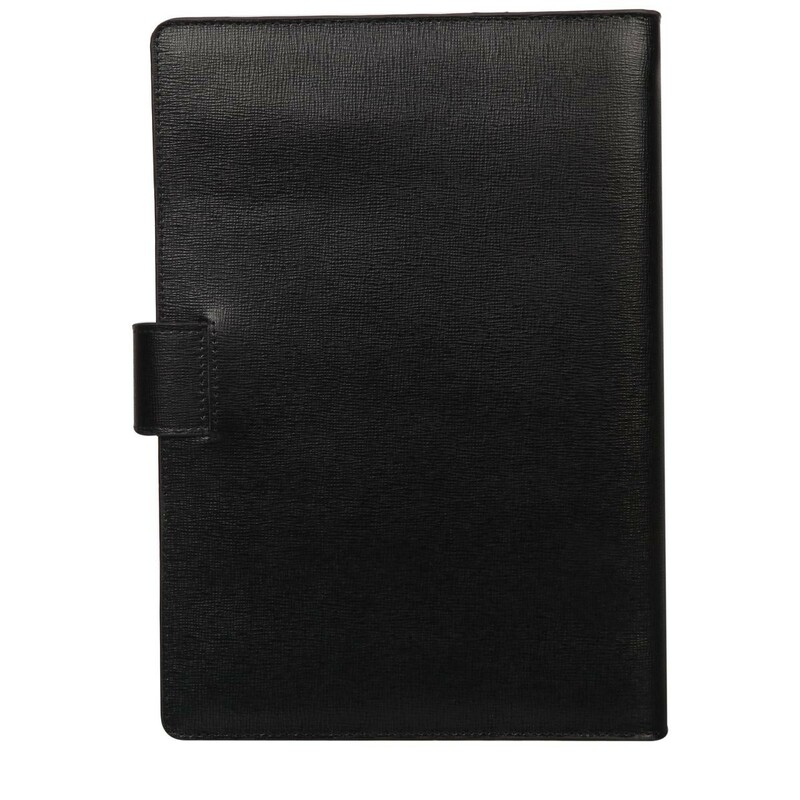 A lined notebook with dates helps to keep everything in order.